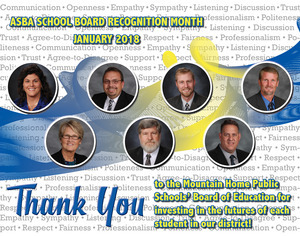 The Mountain Home Public Schools Board of Education is made up of 7 elected board members. Members serve 4 year terms. 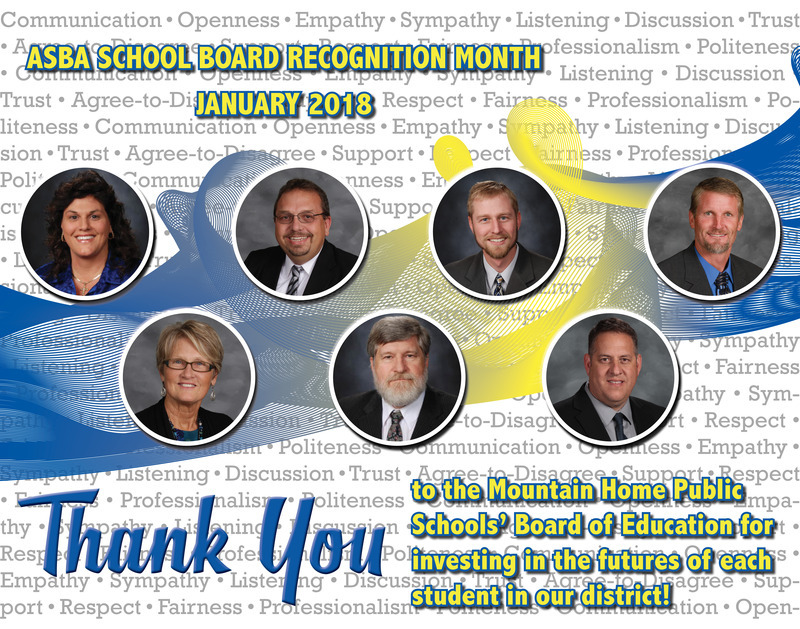 It is the policy of the Mountain Home School Board that its actions will be taken with due regard for its legal responsibilities and in the belief that its actions shall be in the best interests of its students and the District as a whole. Click HERE to meet the current School Board!